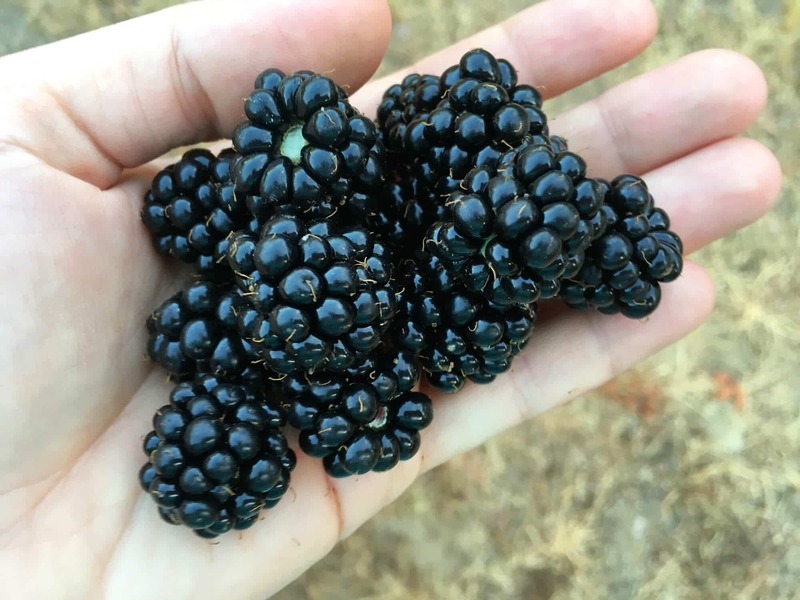 Blackberries literally grow like weeds here in Washington State and it only takes a few minutes of picking to acquire a healthy stash of them. And now that our kids are old enough to pick with us, we’ve got a nice little crew of blackberry pickers to help with the task. Their incentive: Homemade blackberry syrup on their pancakes and waffles, blackberry jam and blackberry fruit leather. They’re happy campers. Plus it’s fun family bonding time. And we soon forget all the scratches, thorns and battle scars once we’re tasting the fruits of our labor! 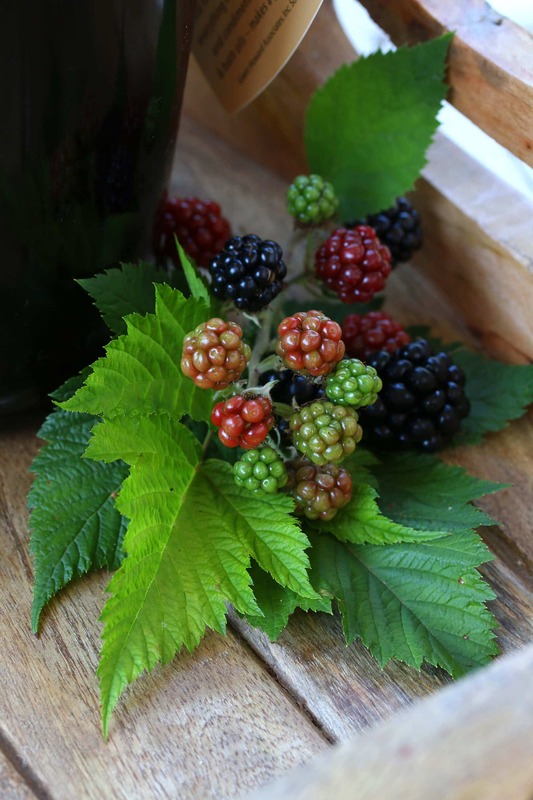 This summer has yielded the best crop of blackberries we’ve ever seen – exceptionally large, juicy and sweet. I guess that’s the one (and only) perk of having endured Washington’s record cold and wet Spring! It’s all about the silver lining, right? And that lining came in the form of the most amazing blackberries. 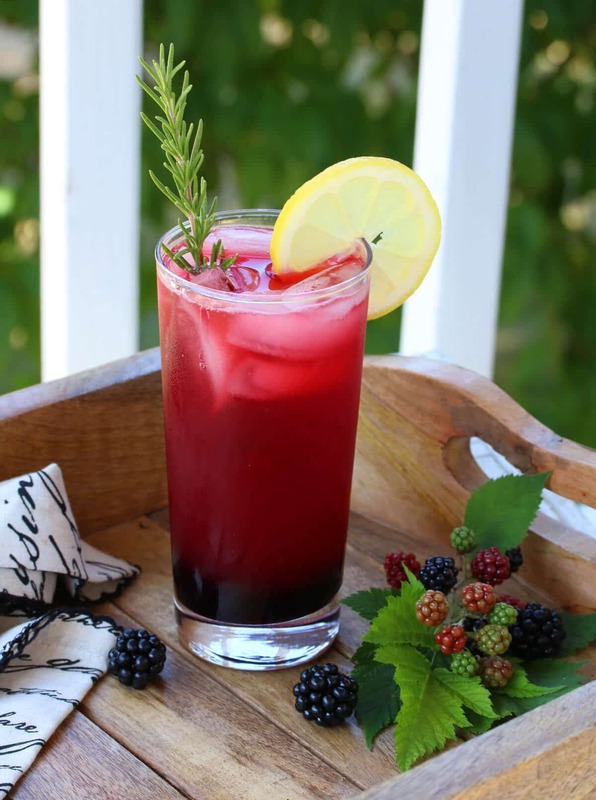 My latest creation with blackberries is this delightfully refreshing spritzer. We had my family over for Sunday dinner and later on that evening I served these for the first time. I waited till everyone took their first sip and watched as they raised their eyebrows and commented how delicious it was. Most of them weren’t able to quite place that “certain flavor” (despite the fact that each glass had a sprig of rosemary sticking out of it, hello!) and were pleasantly surprised to find out what it was. It was a hit and a request was made for more the following Sunday. 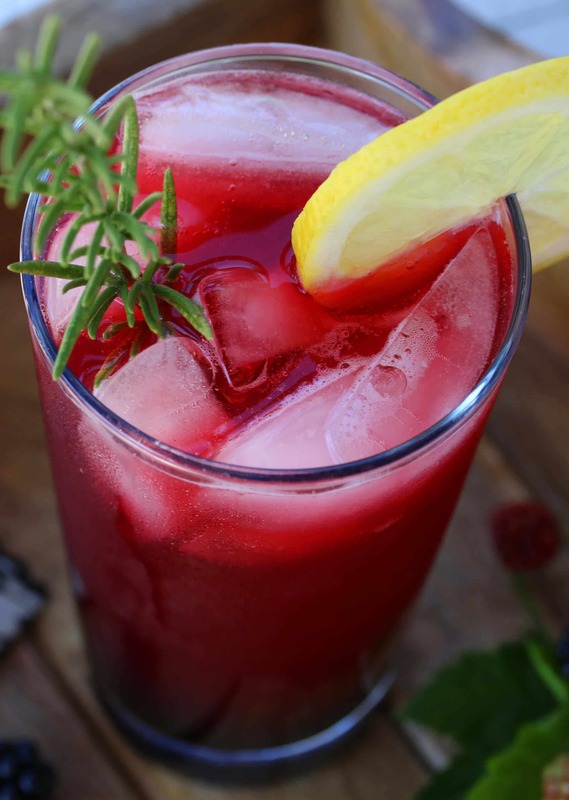 You’re going to love the pairing of sweet blackberries, peppery rosemary and tangy lemon! What I love about it too is that the blackberry syrup for this drink can be made from either fresh or frozen blackberries. So you can freeze them and have access to making blackberry syrup year-round for this delicious drink. This drink calls for blackberry syrup. 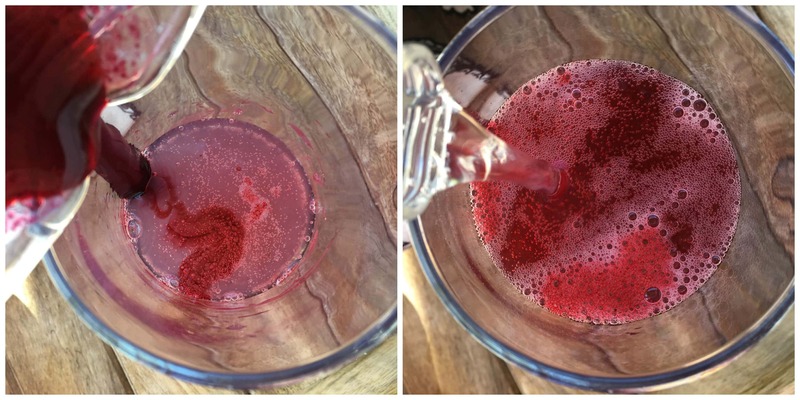 Blackberry syrup is easy to make. Think of it as a simple syrup that you would use for cocktails. It’s simply a blackberry infusion with sugar. 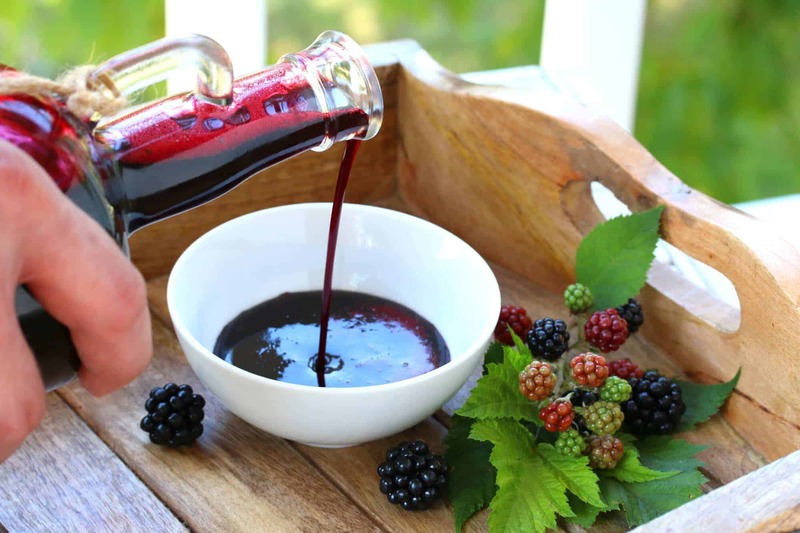 Here is the recipe for Homemade Blackberry Syrup. Alternatively, you can either use store-bought blackberry syrup. 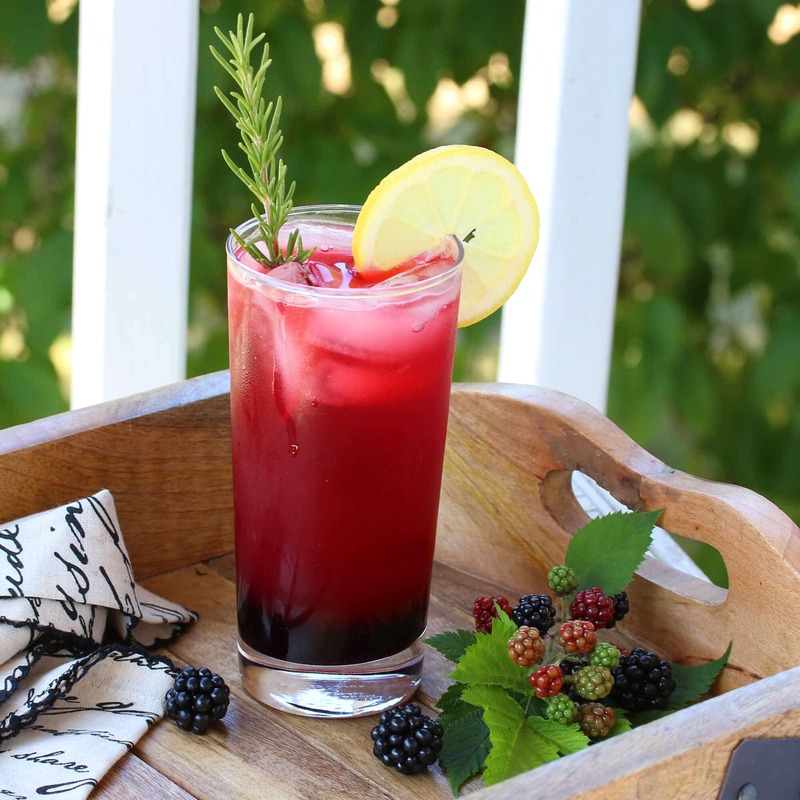 With your blackberry syrup in hand you’re ready to make your spritzer. Place the rosemary needles in a glass and mash them around with a cocktail muddler or similar. Or just crush the needles between your fingers and add them to the glass. The purpose here is to release the oils in the rosemary. Add a little seltzer (sparkling water) and swish it around to infuse it with the rosemary. Remove and discard the rosemary. Add the lemon juice. Add the blackberry syrup, ice cubes and more seltzer. Give it a stir. 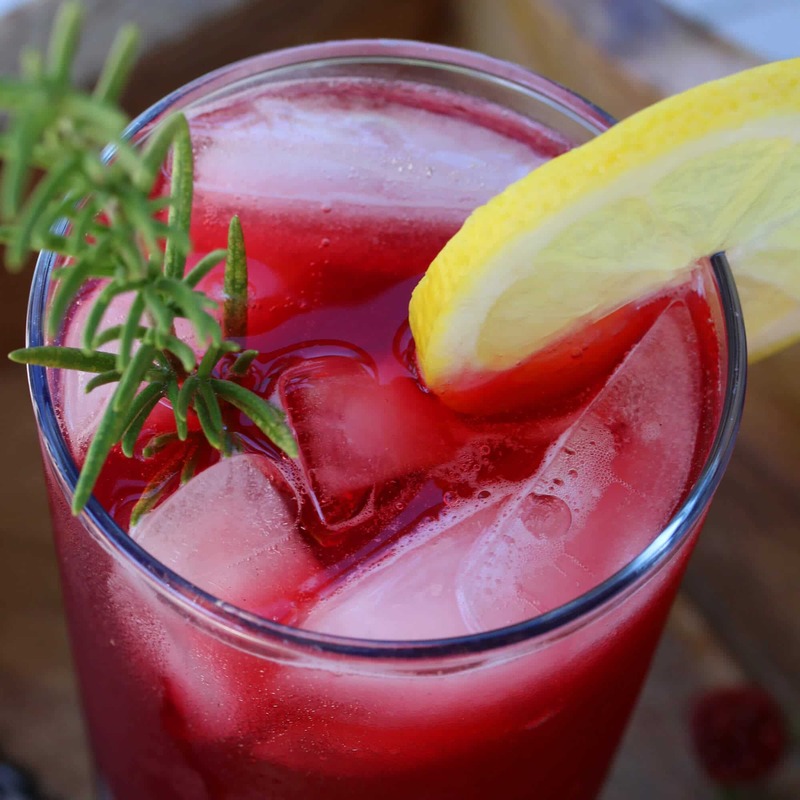 Serve the Blackberry Lemon Rosemary Spritzers with a slice of lemon and sprig of rosemary. 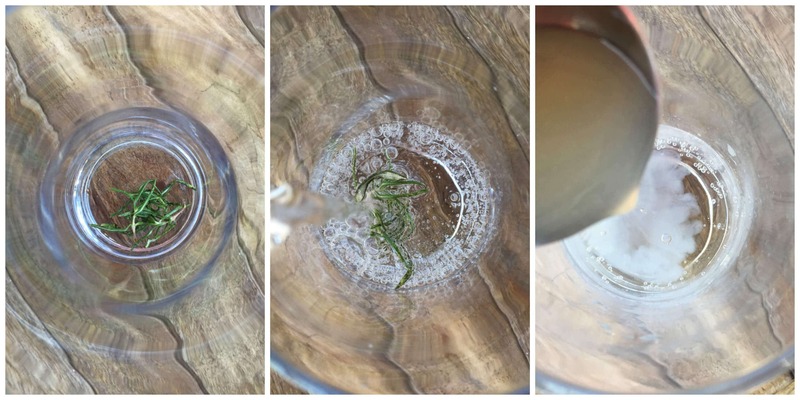 Place the rosemary leaves in the bottom of a glass and use a cocktail muddler or similar to mash them a bit. Add a little seltzer and swish it around. Remove and discard the rosemary. Add the lemon juice, blackberry syrup, ice cubes and seltzer. Give it a stir. 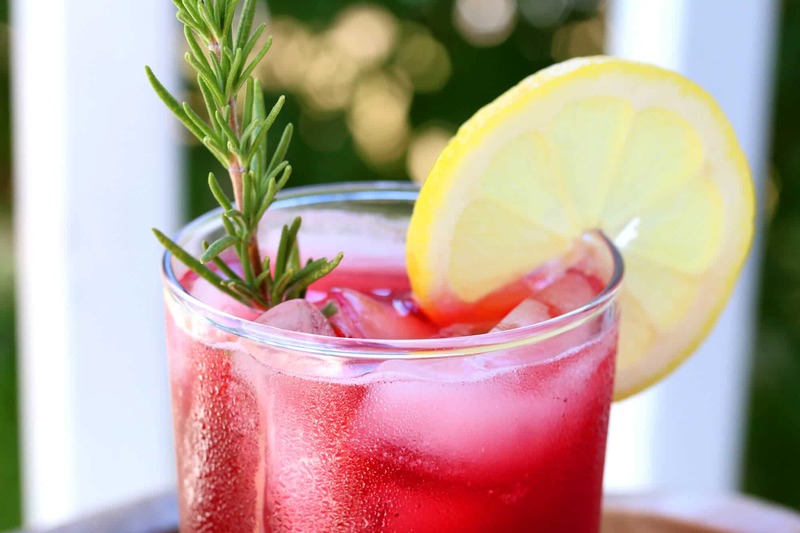 Garnish with a slice of lemon and sprig of fresh rosemary. This sounds so refreshing not to mention absolutely gorgeous! This drink is so amazingly beautiful!! What a gorgeous drink, and I love that flavor combo! This sounds so refreshing! It looks amazing! In Australia, we have soda water or sparkling water in bottles. Is that the same as seltzer?? Hi Wendy, yes, it’s the same thing. Thanks for asking. I found a rogue raspberry plant in my yard this year, right next to some wild strawberries that have taken over my yard. I think I know what to do with them all now! This sounds so good and refreshing! I had never thought about putting blackberry syrup in a drink! Sounds so dang good!